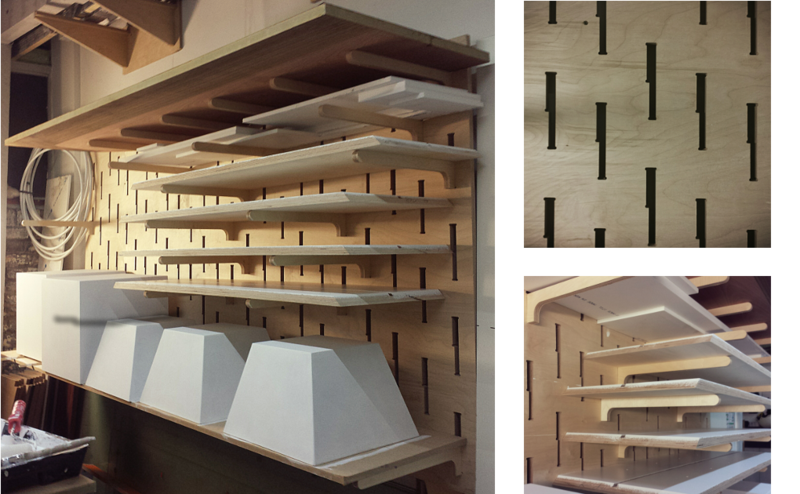 Just an array of cut-outs in one sheet of ply… with movable brackets that slot in. Simple but effective finishing rack for the ol’ workshop. So versatile and looks great without shelving too!